NO CBA talks today, discussions have been delayed until tomorrow[Friday]. It appears that NHLPA needs more time to respond to the new NHL proposal. Could a potential lockout see Sidney Crosby playing in the KHL along side Malkin? Players continue to make alternative plans in the event that a lockout becomes reality. Is this what the fans have to look forward to next season?…a random selection of the NHL’s best players mixed in the European League, Swedish Elite League, the KHL and others? It is not good enough for me…not even close. I mean yes those are all great leagues but it just will not be the same. If the players play elsewhere and there ‘potentially’ a lockout there will be no allure of the fresh slate all teams start with at the beginning of the season. There will no battles for playoff positioning. There will be no playoffs. There will be no Stanley Cup Championship. Again. Seriously? Does this seem like a great blueprint for Bettman to follow again? Does he want to be responsible for the NHL becoming the only sport to have lost NOT just one entire season…but TWO entire seasons if it happens? 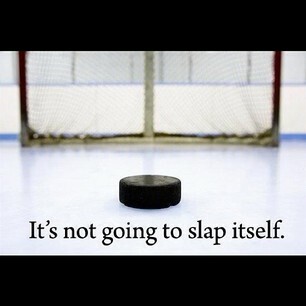 NO other professional sport has EVER lost an entire season due to a lockout. Can you honestly say that you will remember his time as NHL commissioner for doing something other than procrastinating the start of a season or canceling it? When I think of Bettman in his tenure as commissioner the only word that comes to mind is ‘lockout’. It is a negative image that comes to my mind and others when Bettman’s name is uttered and if he wants to change that…he’s going to have stop forcing lockouts. It doesn’t teach the players a lesson and it certainly doesn’t win the league more fans…if anything it is detrimental to the progress of the sport itself. It prevents any progress whatsoever. The word lockout is not a welcome one in my vocabulary. Yet it keeps forcing its way into it…. No, I think not. It seems more like some sort of ploy that league is using to bait the fans…giving us a glimpse of what we could miss should the lockout occur. It is cruel that they tease us this way…giving us a faint faint glimmer of hope looking at the ‘official’ broadcast schedule if they are only going to take it away in 2 weeks! Seems unfair to give the fans the ‘official’ schedule if the season is not even ‘official’ yet and it might not be at all. *My fingers are still crossed that we at least get most of the season…1/2 a season would better than NO season. The NHLPA is supposedly going to to respond to the NHL proposal at tomorrow’s meetings…we’ll see if any progress gets made or not. Both sides are going to have to give in a little more before a deal of any kind is made official or any announcements come from Bettman regarding September 15th. The players want to play and many WILL go elsewhere if locked out…but lets hope it doesn’t come to that. This entry was posted in Hockey, NHL and tagged Bettman, CBA, hockey, lockout, National Broadcast schedule, NHL by sarahlaug. Bookmark the permalink.